Pope Francis’ emphasis on mercy doesn’t put him in opposition to St. John Paul II and Benedict XVI—it puts him in opposition to those who think the Church is about condemning rather than evangelizing. This is not an indictment of only one faction. It’s a sign of tunnel vision among Catholics. Yes, some conservative Catholics think that the Pope’s emphasis on mercy is a moral laxity and they are wrong in thinking that way. But some liberal Catholics think that Church teaching on moral obligations is rigorism, and they are also wrong. The fact is, the Church is about saving souls. This involves both the admonishing of sinners when they choose to do evil, and the reaching out in mercy to bring them back to God. Unfortunately, the lax Catholic sees this as condemnation of people while the rigorist Catholic sees this as winking eyes at sin. Both errors view certain aspects of the Church teaching as a distraction or a sign of political bias. Conservative Catholics see social justice teaching as a sign of politically liberal bishops who do not care about teaching on moral issues. Simultaneously, liberal Catholics see Church teaching on moral—particularly on sexual morality—teachings as a sign of politically conservative bishops who do not care about social justice. Obviously, if the bishops are accused by both sides of teaching only the other side, it shows they are teaching the whole faith and the critics want to silence them on the side they disagree with. It is their own bias that leads them to think that the Church supports the other side. The unspoken assumption is that the critics’ own side is true and whoever disagrees with them is presumed to be endorsing all the evils of the other side—even if that person is Pope or bishop. That’s the either-or fallacy. One doesn’t have to support A or B. One can support option C, support elements from both A and B, or reject both A and B altogether. The fact that there are sinners in the Church is indisputable because human beings are in the Church. No person is immune from personal sin, even the members of the Magisterium. But the fact of personal sin in the shepherds of the Church does not mean that, when they teach, that they have a 50-50 chance of teaching error. 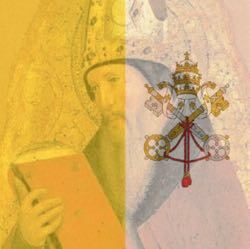 We believe that the charism of infallibility for the Pope and indefectibility of the Church means we can trust that when the Church teaches, she is protected from teaching error, even if the Pope is personally a notorious sinner (which is not the case today). But, if one holds a vision for the Church that says it is moving “left” or “right” on the basis of how one views the world politically, their vision is blinding them to the truth and leading them to error. If Popes and bishops can personally sin, you had better believe that we can personally sin too. We need the Church as God’s chosen means of bringing His salvation to the world. That means when she observes the sins present in our society, she must speak out against it, even if that sin is embraced by our preferred political party. But instead of heeding the Church, we tend to say that the Church should work on “saving souls” and not “meddle in politics.” But when she speaks out on injustice or immorality, she is working at saving souls. People in society do embrace the sins of that society. Sometimes they think that because a thing is done by a government, it cannot be questioned. The Church teaching that this thing is morally wrong should serve as a warning that participating in it is risking our souls. What people don’t realize is that when they shout for the Church to be silent when speaking out on evils they commit, they undermine their appeal to Church teaching on societal evils that they oppose. If the Church should shut up when you wish, you really have no basis on which to rebuke your foes when they do the same. You might argue that your interpretation is correct while there’s is in error. But guess what—they think the same way about your views. We break out of this tunnel vision when we stop using ourselves as the standard of right and wrong and start using the teaching of the Church to form our conscience. Once we look to the teaching of the Church as it is—not as we desire it to be or fear it might become—and use it to guide us into living rightly, loving God and our neighbor as ourselves, that we walk with God. But if we continue to use our own ideology as a means to judge the Church, we will be misled by our tunnel vision and end up fighting the Church when she is right. In my past few articles, I’ve discussed the problems of Catholic critics who confuse their interpretation of Church Teaching with what the Church actually intends. Whether they start out with false premises, or whether they use fallacious reasoning with true premises, or (sadly, very common) using both false premises and fallacious reasoning, they wind up claiming that Church teaching justifies something that is actually contrary to what the Church teaches. Some do this to claim that a sin is not a sin, and that they are therefore not guilty of choosing an intrinsic evil. Others do this to discredit a Church teaching they dislike, arguing that we must return to their idealized view of when the Church was right and abandon or restore disciplines to match their idealized concept—the teaching they dislike is considered “proof” of heresy or political bias. This is not the sole provenance of one faction. I’ve seen some Catholics claim that Jesus wanted a Church of love and mercy—denying that He ever intended condemning acts that they think shouldn’t be sins. I’ve seen other Catholics balk when the Church has changed disciplines when the magisterium determined they no longer serve the intended purpose, claiming the Church has fallen into “heresy.” But both groups are confusing what they want with what best serves keeping God’s commandments and evangelizing the world. These critics judge the actions of Pope and bishops based on what they want (and, therefore, what they think God must want). If the Pope and bishops do not take that stand, it is considered a betrayal of either Christ or His Church. So, the liberal Catholic applies their assumptions to St. John XXIII, Vatican II and Pope Francis and think they are “correcting” the former “errors” of other Popes, Councils, and Bishops. Conservative Catholics think they are “committing errors” contradicting previous teaching. But, their conclusions are based on false assumptions. They assume that the Church they conceive of is the way the Church is supposed to be. But if the assumption is false, they cannot prove the conclusion. If their conclusion is not proven, we cannot use their arguments as the basis of enacting teachings in the Church. It’s important to realize that such false assumptions need not be malicious. The person can be quite sincere. It’s quite possible that the person is assuming that the simplified explanation Sr. Mary X gave them in Catholic grade school was doctrine and either embraced or rebelled against it, thinking it was a doctrinal teaching. The individual can fail to realize that the possibility that the explanation was oversimplified, or that they misunderstood it. I think this lack of realization is the real problem in the Church. If we do not grow in our understanding of the actual Church teaching, we can easily be led astray. If we don’t understand that the style of Church teaching may sound more forceful in one age than in another, we might be confused over what is doctrine, what is discipline, and what is governance. Doctrine does not change from X to not X. But it can develop with a deeper understanding over time. Discipline and acts of governance can change if the magisterium deems it beneficial to do so. Yes, it is possible that a Pope can be a notorious sinner, or that a bishop can be unjust. But it does not follow from the fact that we have had such Popes and bishops in the past, that the current ones fit in that category. That’s the point to be proven. If we simply assume the point to be proven, we commit the begging the question fallacy. The “evidence” we provide that is based on that assumption proves nothing. If one wants to argue that St. John Paul II “betrayed” Vatican II (as liberals like to allege) or that Pope Francis “teaches heresy (as some conservatives like to allege), the obligation is for the individual to investigate whether they have gone wrong themselves—not for the teaching authority of the Church to prove them false. Such misunderstanding cannot lead to a proper understanding of the Church. Instead, it leads to obstinacy. Ironically, though the liberal and the conservative disagree with each other about what this fictitious ideal is, they wind up using the same arguments, and ultimately denying the authority of the Church—all the while condemning the other side for their dissent. The only way to escape that trap is to recognize who has the authority to interpret the past Church teachings and apply them to the present. That authority is the current Pope and bishops who are successors to the Apostles. We believe that Our Lord protects His Church from teaching error in matters where she must be given assent. Without that promise, we could never know when the Church was teaching error. If we would be authentically Catholic, we must trust Our Lord to protect His Church. When Our Lord has sent authentic reformers from outside the magisterium, they were always respectful and obedient to those chosen to be the shepherds. Those who became heretics and/or schismatics refused to give that respect and obedience. Yes, we have had a few bad Popes in the history of the Church. But they have never taught error despite doing wrong, or rarely thinking wrong in private thought. The current critics of the Church, by alleging the teaching of error, are de facto denying God’s protection exists. But once you deny that, you cease to be a witness to the truth of the Church and instead become a stumbling block that causes scandal to potential members. If you deny the Church has authority on issue Z, you lead person to question why the Church has authority on issues A-Y. So instead of dogmatizing our errors, we have to realize that since the Church is protected from teaching error, we must consider how the Church can teach differently from our expectations on what she should teach. Yes, there will be people obstinately in error out there. Yes, Catholics who don’t like to follow them will look for lax or rigorist spiritual guides telling them what they want to hear. But these Catholics and their blind guides do not take away from the actual teaching authority of the Church under the current Pope. We must remember that, when we encounter a teaching from the Magisterium today that runs counter to what we expect, we have the obligation to seek understanding and not assume the difference means error on the part of the Church. A tactic used by some foes of the Pope is discrediting his defenders by calling them Ultramontanist or Ultramontane. The term has had different connotations in different ages of the Church. Initially, it was used to denote Catholics who defended the authority of the Pope over all aspects of the Church, in opposition to those Catholics who claimed there were limits on the Pope’s authority—usually from those who claimed that a Council could outrank a Pope (a view condemned as a heresy) or that a ruler had a more immediate authority over the Church in his nation than the Pope. In the current form, the label is a Straw Man and an Ad Hominem attack. It attempts to portray the defender of the Pope as a blind fanatic who believes everything that comes from the Pope’s mouth is an ex cathedra statement. Since it is true that not everything that comes from the Pope’s mouth is a teaching, not everything he says or does is sanctified simply because the Pope says it. The defender labeled as Ultramontanist is treated as a simpleton who is ignorant about the Catholic faith and easily misled. The problem is, no informed defender of the Pope ever made such a claim about the Pope. I don’t doubt you can find some misinformed Catholics out there who believe that, but I’m sure you can find some misinformed Catholics who literally worship Mary too. But if you do find any, you can be sure they don’t represent accurate Catholic thought. The Catholic who defends the Pope is not doing the theological equivalent of “my country, right or wrong!” Rather he is saying that the Catholic attacking the Pope has misrepresented what he teaches and has failed to give the assent required (Canon 752) when the Pope teaches. The Popes are not protected from error, nor making a binding teaching, when they grant interviews or press conferences. They are not protected from error when governing Vatican City (or, previously, the Papal States). They are not protected from error when they write a book, like St. John Paul II’s Crossing the Threshold of Hope or Benedict XVI’s Jesus of Nazareth. But when they intend to teach, making known their intention in an official Church document—for example, by an encyclical—then we are required to give assent. This requirement is not limited to infallible statements. Pope Pius IX condemned the notion that only an infallible statement is binding. Vatican I declared those who limited the authority of the Pope over the Church to be anathema. Defending the Pope when he issues such a teaching statement (considered part of the ordinary Magisterium of the Church is not “Ultramontane.” It is offering correction to the Catholic who is failing to give the required assent. Indeed, the critic who uses the “Ultramontane” label when a defender of the Pope defends a teaching of the ordinary magisterium shows the real lack of knowledge. All of the Church teachings which were defined infallibly were also previously defined through the ordinary magisterium. The Church defining Transubstantiation in AD 1215 did not mean people were free to believe otherwise in AD 1214. Indeed, Berengarius of Tours was condemned in the 11th century for denying Transubstantiation because it had been taught by the Church, even though not defined in a formal ex cathedra act. And how must the Pope be loved? Non verbo neque lingua, sed opere et veritate. [1 John 3:18] When one loves a person, one tries to adhere in everything to his thoughts, to fulfill his will, to perform his wishes. And if Our Lord Jesus Christ said of Himself, “si quis diligit me, sermonem meum servabit,” [John 14:23] therefore, in order to demonstrate our love for the Pope, it is necessary to obey him. [†] Ironically, the site this came from was quite happy to share it in 2012 when Benedict XVI was Pope. They don’t feel the same about Pope Francis. Knowing less than you think you do is a dangerous situation to be in. It leads a person to act on what they wrongly think is real. When this happens, people reach wrong conclusions, perform the wrong actions, assume the wrong motives. The result is some sort of harm done to oneself or others. In some fields, it is apparent to most people when they are in over their heads. Take medicine. Doctors study for years to learn how the body functions, how it can go wrong, and how it can be made right—but even with all that knowledge, mistakes can be made. Now imagine the average person thinking he knows more about medicine than he does. Such a person might guess how to handle a simpler diagnosis, but not always. The more complicated the procedure, the more likely this person is to commit an error, and the more serious the condition, the more serious the consequences of an error. Most of us know our limitations when it comes to obviously technical fields. But in other fields—especially when it comes out to determining the truth of how we ought to live—people act as if they are experts. They pass judgment on what they think is right, with no consideration as to whether their knowledge of truth or the situation might be lacking. This is especially the case when it comes to determining the moral way to live. Human beings, by nature, tend to interpret things based on what they want. The assumption is that what they want is good, and those who interfere with that want is bad. But, if you’re a parent who’s had to childproof a house, you know that what a child wants and what is good for the child are two different things. The child wants to put dangerous items into their mouth, or stick their fingers in dangerous places. He or she resents the parent interfering. The parent’s rules keeps them alive and eventually the child learns why the parent made the rules, learning it is not arbitrary, but based on truth about what causes harm. In a similar manner, the person who rebels against the moral rules, thinking they know better, endangers souls and sometimes bodies. In assuming that the one who issues these rules are wrong, they think they know more than they do. To be clear, I’m not talking about a blind adherence to any rule. Yes, it is important to understand what the rules are. But it is also important to understand why the rules exist. This is especially true when the Church teaches. As Catholics, we know that the Church has authority to bind and loose (Matthew 16:19, 18:18). Because of that, we know that Church teachings create a boundary between living as we ought and living contrary to what we ought. But if we don’t understand the reasons for the teaching, we run the risk of resenting those rules or of reading more restrictions into the rules than actually exist. Catholic Church, “Decree on the Apostolate of the Laity: Apostolicam Actuositatem,” in Vatican II Documents (Vatican City: Libreria Editrice Vaticana, 2011). Reforming society is not separate from our mission to save souls—it’s part of that mission. But if we’re ignorant of the what and why of Church teaching, we can end up fighting the Church while thinking our actions right. And that’s a major danger. Whether it is a liberal Catholic who resents teaching on sexual morality or a conservative Catholic who resents a social justice teaching, we have a person who thinks they know more than they do and demands that the Church follow his lead. But, because they know less than they think they do, it is dangerous to put trust in their views. Laxity is not the only danger. Rigorism is another danger. When we start thinking that only those who act like us can be saved without considering whether the Church allows for more options in being faithful, we can wind up falsely accusing the faithful of error. We can start assuming that mercy is the enemy of justice. So, when the Church shows mercy, we run the risk of resenting it instead of rejoicing. We cannot start to set limits on God’s behalf; the very heart of the faith has been lost to anyone who supposes that it is only worthwhile, if it is, so to say, made worthwhile by the damnation of others. Such a way of thinking, which finds the punishment of other people necessary, springs from not having inwardly accepted the faith; from loving only oneself and not God the Creator, to whom his creatures belong. That way of thinking would be like the attitude of those people who could not bear the workers who came last being paid a denarius like the rest; like the attitude of people who feel properly rewarded only if others have received less. This would be the attitude of the son who stayed at home, who could not bear the reconciling kindness of his father. It would be a hardening of our hearts, in which it would become clear that we were only looking out for ourselves and not looking for God; in which it would be clear that we did not love our faith, but merely bore it like a burden. Joseph Ratzinger, God Is Near Us: The Eucharist, the Heart of Life, ed. Stephan Otto Horn and Vinzenz Pfnür, trans. Henry Taylor (San Francisco: Ignatius Press, 2003), 35–36. From what I have observed watching critics who want to “purify” the Church is they don’t seem to grasp the mission of the Church. Some of them want to reduce the Church to a charitable organization that discards the demands of morality Others want to turn the Church into an exclusive club where they are members, but sinners of a certain type are excluded—that type generally reduced to those who commit different sins from what the critic thinks acceptable. Neither group seems to remember that the Church was established for bringing Our Lord’s salvation to the world. Neither group seems to remember that we need that salvation ourselves. The temptation is to demand the immediate repentance of others while deciding our own sins are not sins or are not important enough to repent of. I think this ultimately describes the danger we face in not knowing that we don’t know—that our lives require a constant turning back to God, and that we cannot write off the sinner we deem worse than us. Our Lord warned the Pharisees that the prostitutes and tax collectors were entering the Kingdom of Heaven before them. (Matthew 21:31b). Our Lord didn’t say that because he thought they were morally good. He said that because they were repenting while the Pharisees thought they had nothing to repent of. In other words, the Pharisees did not know that they did not know how God was calling them to live. As a result, they assumed whatever was different from their views was error. When we err in that manner, refusing to hear the Church (Matthew 18:17, Luke 10:16) we are ignorant about our ignorance. But since we, as Catholics, have no excuse for not knowing that Our Lord made the Church necessary and authoritative, our ignorance is vincible and can endanger our souls. And that is more dangerous than not knowing that we know nothing about medicine. Have you ever encountered someone who speaks confidently on a subject and offers his opinion as fact—but makes many errors about that subject? It happens in all areas of life. I find that it usually happens when a person assumes that what they have heard on a subject is correct, or that the opinions they have formed are the only way something can be interpreted. The problem is, if what they have heard is not correct, or if there is more than one way that something can be interpreted legitimately, then the conclusions they draw can be wrong. In the Catholic Church, we believe that the magisterium guides us in coming to a correct understanding of how we must live to be authentically Christian. Things that run counter to the magisterial teaching cannot be called good. Unfortunately, some Catholics believe that the magisterial teaching is an opinion to be judged—if it does not square with the individual’s interpretation, that teaching is judged an “error.” Thus we have some Catholics argue that Humanae Vitae is an anti-woman opinion that can be ignored. Others argue that Catholic Social Teaching is an opinion that “proves” that bishops are expressing liberal political views. It doesn’t occur to them that their own views are opinions that are at odds with the Catholic teaching. This is not something that only one faction is guilty of. Liberals shamefully reject St. John Paul II and Benedict XVI while holding up their false understanding of St. John XXIII and Pope Francis. Conservatives shamefully reject St. John XXIII (Mater Si! Magistra No!) and Pope Francis while holding up a false understanding of St. John Paul II and Benedict XVI. What makes things worse is when these people take their views and spread them to others, teaching them that the Church was “betrayed” by the Popes they dislike, and we need to follow their views to get the Church back to where she should be. But if they are in error about what the Church requires and permits, how can they lead us to where the Church should be? Our Lord’s words should be heeded here: “If a blind person leads a blind person, both will fall into a pit.” (Matthew 15:14b). Our Lord spoke these words about the Pharisees, who challenged Our Lord over not holding His disciples to their views of moral obligation. Now, the word Pharisee has a lot of baggage. People associate them with religious conservatives—with all the negative stereotypes they associate with that faction. Religious conservatives resent that link because they don’t believe they behave with that attitude. Personally, I think it is a mistake to associate the term with a factional view. I think it is more accurate to understand Pharisees as group who believed that their views were right, and that those who disagreed were wrong—even when the one challenging them had the authority to do so. I also believe that the Pharisee today is the one who clings to a set of views, judging others compared to their views, but never considering their rejection of the magisterium—which has Our Lord’s authority (Luke 10:16)—is rejecting truth for their own “traditions” (Matthew 15:6b). If we want to be faithful to God, we must keep His commandments (John 14:15). Since he gave the authority to bind and loose to Peter and the Apostles (Matthew 16:19, 18:18), and we believe as Catholics that the Pope and bishops are the successors to Peter and the Apostles, it follows that the Pope and bishops today have that same authority and we must obey them. Yes, every Pope and bishop is a human being, and therefore a sinner. Yes, they can say some cringeworthy things and do actions we find regrettable. The problem is there is a difference between a Pope or bishop speaking as a person (for example, in an interview) and speaking with the intention to teach in a way we are bound to accept. When the Pope teaches, we are obliged to give assent—even if his teaching is not given ex cathedra. If we refuse to give that assent, then we are dissenters—cafeteria Catholics who negate our claim to be faithful by picking and choosing when we will give this assent. Once we understand that faithfulness to Our Lord includes listening to and following His Church, we can see that listening to the person who claims that the teaching of the Church is in error is to follow the blind guide—and doing so will result in our falling into a pit with them. These blind guides will point to the existence of bad Popes and bishops in history. Since people did wrong, it is possible that the disliked Pope or bishop is doing wrong. They then go on to misapply history. For example, both conservative and liberal dissenters like to point to St. Catherine of Sienna and how she “rebuked” Popes for error (false—she rebuked them for not returning to Rome from Avignon). They like to point to how Pope Liberius “banished” St. Athanasius (false—the documents cited were debunked as forgeries). They like to point out how St. Robert Bellarmine taught how we could depose a Pope (false, he was mentioning different opinions on what to do if a Pope hypothetically became a heretic). Using this misapplication of history, they try to argue that these examples justify their own dissent against the current Pope and bishops are justified. The problem is, they commit the fallacy of false analogy where the differences are greater then the similarities. They might cite the case of a privately held opinion of Pope John XXII (which was not yet defined), but the false analogy is they are not speaking on a personal opinion, but on rejecting actual Church teaching that they do not understand or dislike. Ironies abound. They will reject Amoris Lætitia on the grounds that it is merely an apostolic exhortation that “contradicts” the binding Familiaris Consortio—but Familiaris Consortio is also an apostolic exhortation. They share the same level of teaching authority. In a similar manner, they deny the authority of a Papal encyclical (conservatives denigrate Laudato Si, liberals denigrate Humanae Vitae) because it is not taught ex cathedra, but we are still obligated to give assent to Church teaching even when taught under the ordinary magisterium. In fact, Pope Pius IX condemned (Syllabus of errors #22) the notion that we were only bound to obey things proposed infallibly. The problem was described by Plato over 2000 years ago. In a Socratic dialogue, he described how some people did not know what was true—and they were ignorant of the fact that they did not know. Because of that ignorance, they thought that their misinformation was reality and reacted with hostility when their ignorance was revealed and their views debunked. I believe the blind guides today share this problem. They don’t know that they don’t know. Their flawed view of Church history and teaching leads them to justify their own views against the Church, not realizing that a lack of knowledge leads them to judge wrongly when they are told that they are in the wrong. The Catholic who dissents against sexual moral teaching calls the Church patriarchal and conservative. The Catholic who dissents against social justice calls the Church liberal and modernist. In both cases, the error is not with the Church, but with them. Ultimately, each Catholic will have to decide. Will they listen to the Magisterium of the Church today that tells us how to apply past teachings to current circumstances? Or will they listen to the disgruntled internet sites which tell them that the Church is in error until it complies with their own views? The person who does the first is wise. The person who does the second is following a blind guide.